AMD Mobile Sempron 3600+ - 2.00 GHz Processor - SMS3600HAX3DN - Socket S1 (S1g1) - 1-Core"
This can serve to enormous increase in performance, a used processor is with the Intel Xeon X7550 especially impressively demonstrated. This can serve to enormous increase in performance, a used processor is with the Intel Xeon X7550 especially impressively demonstrated. This has already been overhauled by Intel to it eg. to utilize the exchange in warranty cases. With its numerous properties he lifts the performance to a new level, which is why it perfectly straight for demanding environments is suitable. Overall, the Intel Xeon X7550 has eight cores with 2 GHz clock rate up to 16 threads simultaneously edit. The latter is made possible by Hyper-Threading Technology, this of course does not the only feature of the processor is. He also has 18 MB L3 cache and DDR3 speaks RAM with a maximum memory clock of 1066 MHz. 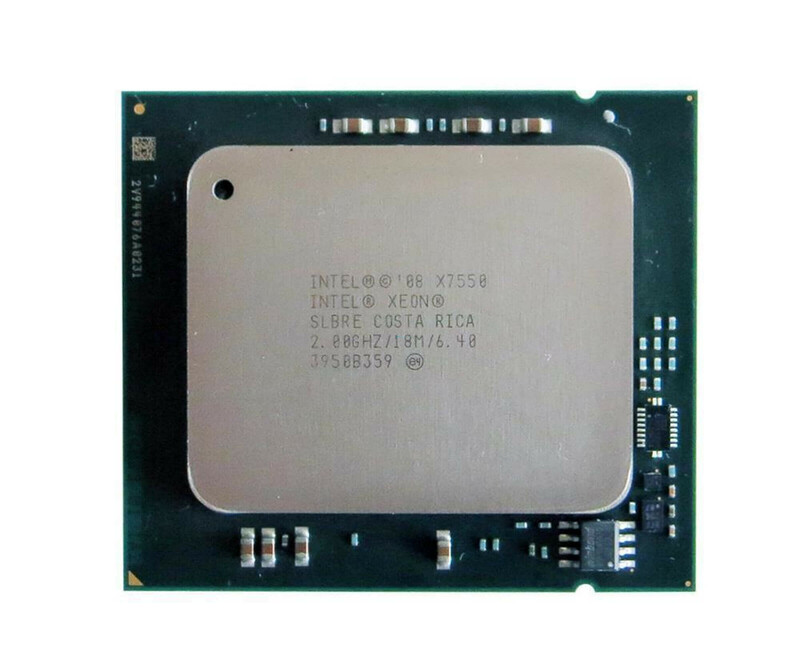 To Intel Xeon X7550 Octa-Core CPU to use in your server requires its motherboard an LGA 1567 socket. Look best in the datasheet or user of the system because there often all compatible processors are listed directly. Note also the maximum power dissipation of 130 watts, which in particular be covered by the power supply should. Since the Intel Xeon X7550 eight-core processor specifically aimed at businesses, data-intensive and power-hungry applications are running, he has other techniques. So it supports virtualization with VT-x and EPT, works with 64-bit operating systems and has the Execute Disable bit for more security. In addition, it saves as much energy, through the Use the advanced Intel SpeedStep technology.